Please, someone assemble a crack team of expert economists to figure out if there is a thing as too much merch. Can the markets handle this much merch? Are we living in a merch bubble that is destined to burst and leave financial ruin in its wake, or is merch here to stay as a new cornerstone of our modern fashion economy? Perhaps we will find out soon, because these past few days have brought a rash of merch news that will test the known limits of the merch economy. First, Justin Bieber, fresh off deleting his Instagram, announced that he's partnering with music merchandise label Bravado to deliver an eight piece capsule collection of his Purpose Tour merch to Forever 21. The Bieber school of merch economics seems to believe in flooding the market with merch at all different price points. He's already teamed up with Barneys New York and Fear of God designer Jerry Lorenzo to deliver a line of $100 t-shirts and $1700 leather jackets. Urban Outfitters was trusted with carrying a mid-level collection last month with price points ranging from $35 to $99. The Forever 21 pieces will retail for prices starting at $17.90 and will go up to $34.90. Yes, where the price points of one collection ends, the price point of the next begins. Bieber has sort of masterfully collaborated with three disparate retailers and got them all to go along with his master merch blueprint. Forever 21, for its part, has seemed eager to get into the merch game. So much so that they were accused of ripping of Kanye West's tour merch. However, Kanye West himself wants to make sure that as many people who want a piece of the real St. Pablo tour collection can get it. He took to Twitter last night to announce that the collection will be selling at 21 different pop-up stores in 21 different cities across the globe this weekend. Details of exactly where the stores will be located won't be released on West's website until 24 hours before the open their doors. The list of locations includes most major American cities like New York, LA, Miami and Houston, but West's temporary empire will span all but two continents. Merch will also be offered in places like Cape Town, Amsterdam, Singapore, and Sydney. As per Vogue, each store will carry items that includes the name of the host city spelled out in Cali Thornhill DeWitt’s gothic script, the trademark of the collection. Nevermind the fact that the actual St. Pablo tour is hitting many of the same cities where the pop-ups will be located. Who needs to wait until the actual tour to buy the merch these days? Meanwhile, the burgeoning House of Hadid empire is also getting in on the merch train. Yes, they're experimenting with the bold new category of model merch. The sisters teamed up with Urban Sophistication for a tongue-in-cheek collection of "Belgie On The Runway Tour" merch. Merch for a tour you can't even buy tickets to. What a world! Meanwhile, on the underground merch market you can also buy a line of unauthorized t-shirts celebrating cult designer like Demna Gvasalia and Rick Owens. 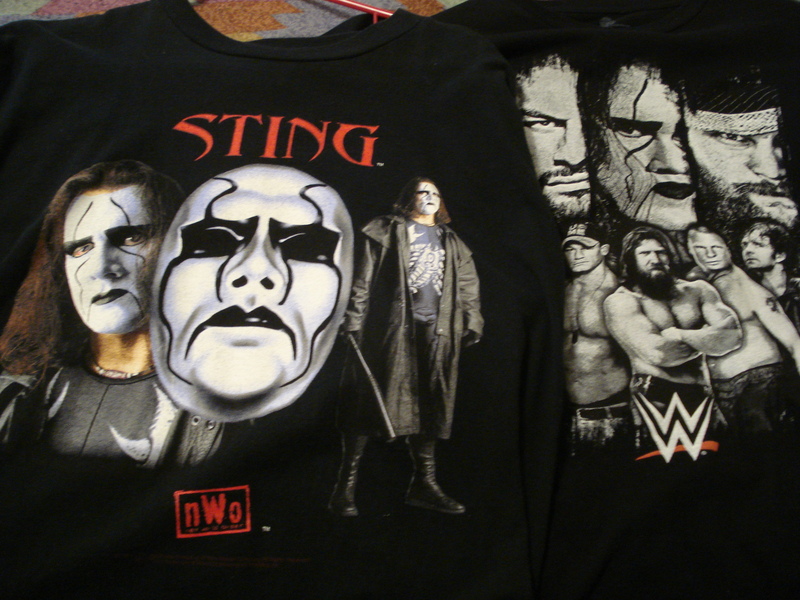 They look, sort of charmingly, like professional wrestling merch for the '90s. Is this all a sign of shrewd business people trying to cash out while the merch market is high before its inevitable downfall, or is this just the world we live in now? Unless someone does assemble that team of economists, perhaps only time will tell.